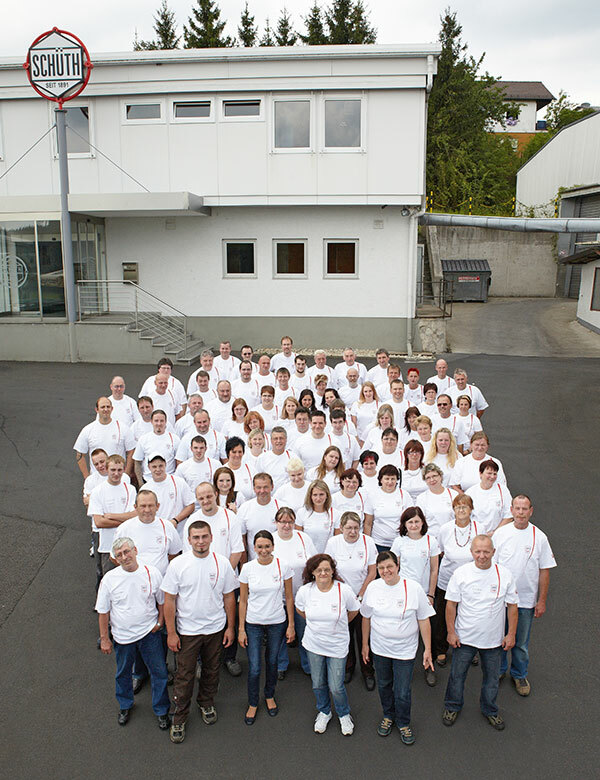 The company Schüth, which is based in the region of Hesse in Germany, has been manufacturing gaskets and stamped parts for a wide variety of industries and customers for more than 110 years. Together with its employees, the family-run company has managed to expand over the decades and has become a signifi cant partner and distributor for industry and trade. Keywords such as experience, consultation, variety of materials, quality, as well as fl exibility and customer service, have existed up to today in this Hessian company. Ranging from giving advice on different technical applications to initial samples and as far as the full-production run, our emphasis has always been on making the customer happy and establishing a long-lasting business relationship. Not only meeting customer requirements, but also sifting out optimisation potential at an economic and fair price, is what we offer to you. Staying true to the motto, „Hidden perfection in Schüth gaskets“, we would like to be a reliable and competent partner to address your problems.